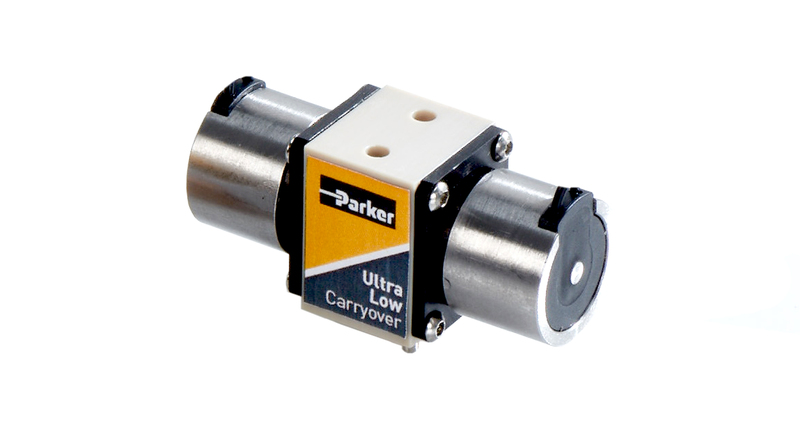 How can the Ultra Low Carryover Valve help improve your fluidic system design? By reducing carryover, wash times are decreased thereby increasing throughput. The ULC’s small internal volume and manifold mount capability help minimize fluidic circuit volumes saving reagents and speeding reaction times. By reducing the wash times, liquid volumes used are decreased thereby reducing liquid and disposal costs. Eliminate the need to replace pinch valve tubing or internal pinch valves. Reduce downtime and maintenance costs. These features translate into more samples per hour and reduced cost per sample, major cost drivers in most laboratories. 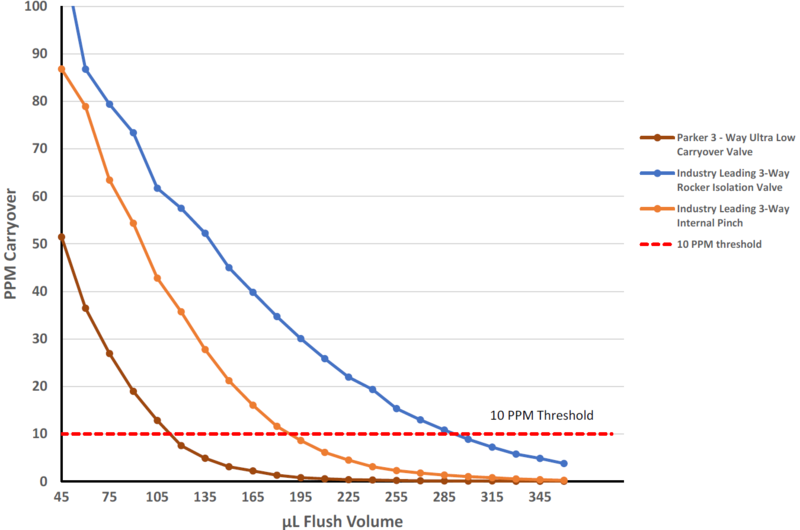 Compared to the Ultra Low Carryover Valve the previous industry leading valve required 65% more time and liquid to reach a 10ppm carryover level. The ultra valve has the unique capability to operate in four different states which offers distinct advantages over the typical two state operation of a two way or three way solenoid valve. 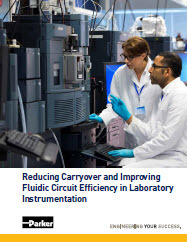 This white paper discusses how to reduce carryover and improve efficiency in fluidic circuits. Complete the brief form below to download the white paper. 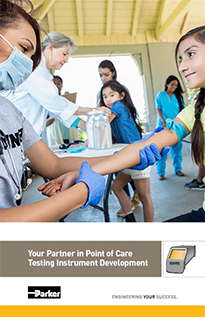 Point-of-care testing (POCT) is a rapidly expanding segment of the healthcare industry, especially for at-home care and disease management. This expansion is driven by an increasingly diverse array of advanced medical diagnostic equipment that can be used at or near the point of care... Keep Reading.